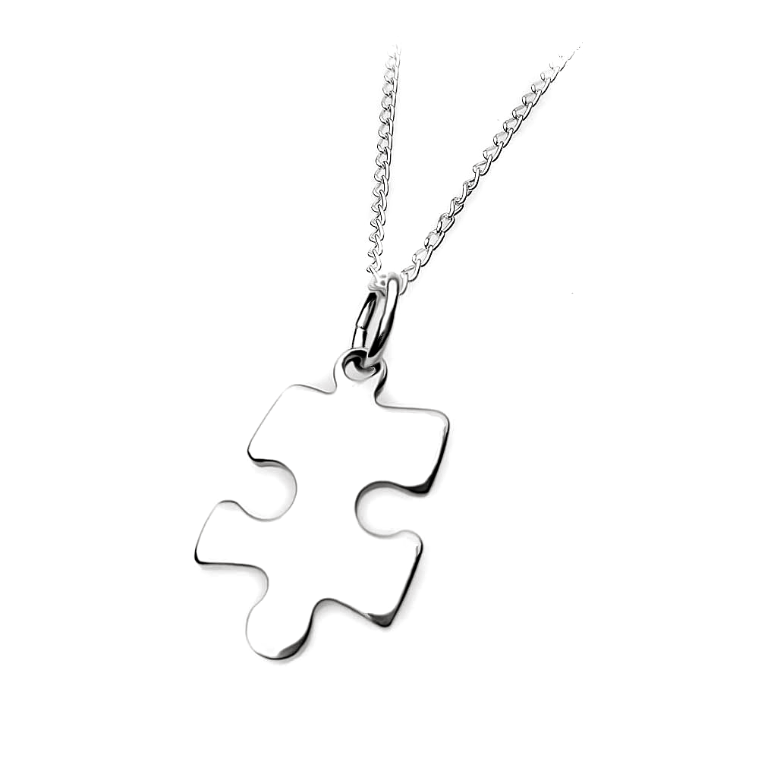 This delicate silver pendant in the shape of a jigsaw piece is the perfect way to express a variety of feelings as well as achievements in life. 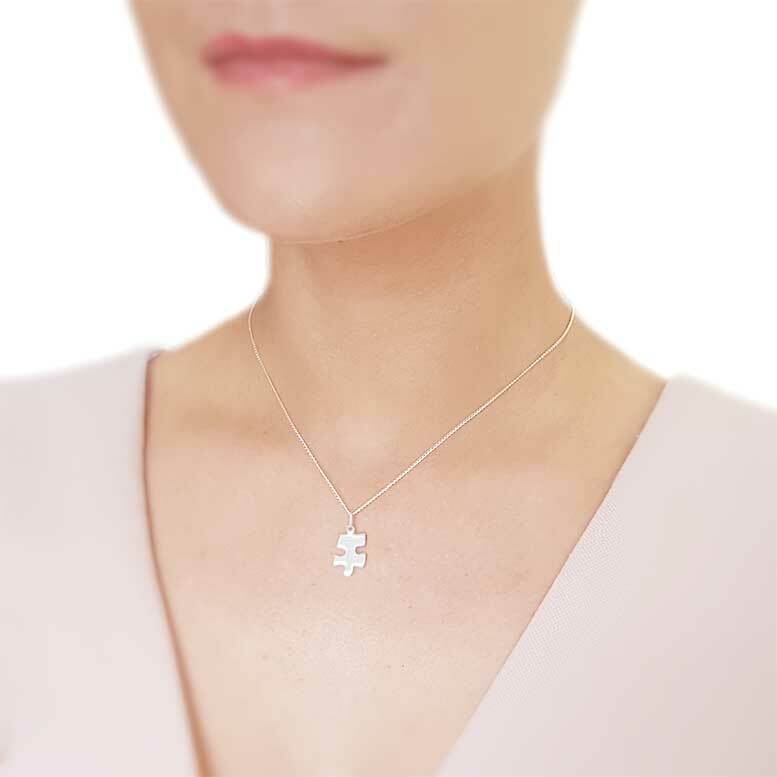 It is so versatile with its meaning from expressing love, emphasising on important part of your life or just admiring the puzzles. 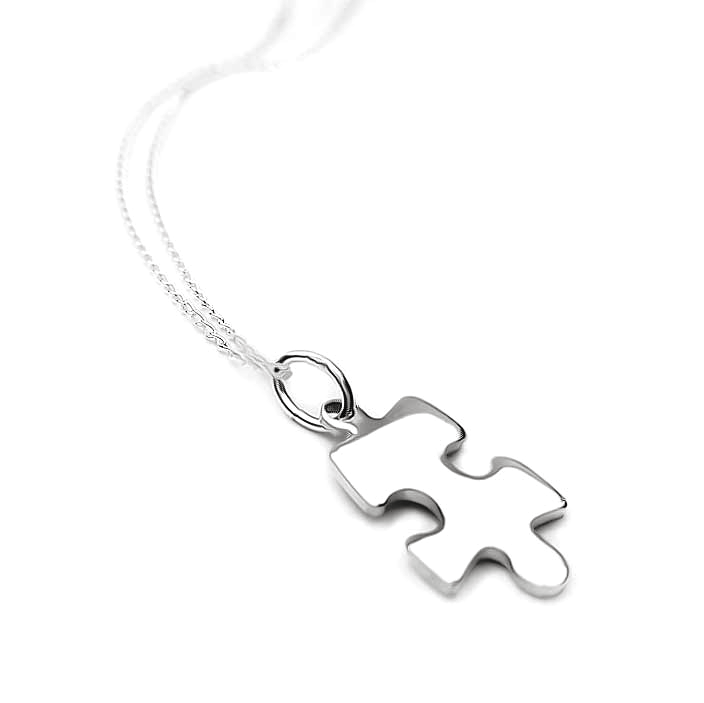 Available chain lengths: 16", 18", 20" and 22"